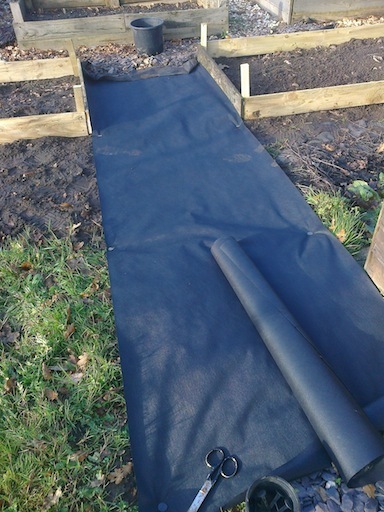 Back at the allotment this morning, where K has completed the second new raised bed and laid the lining for the new path. 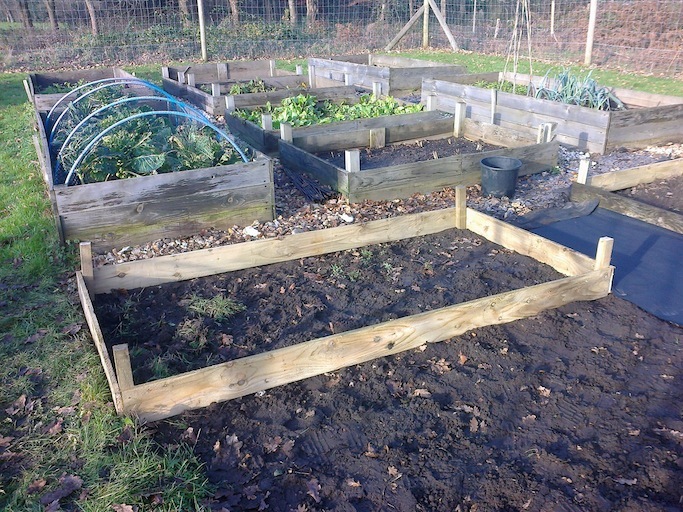 We will need to get some suitable gravel to put on that at some point, and he also needs to screw the end panels in more thoroughly in the raised bed, but it’s fine for now. While he was doing that, I pruned the autumn raspberries as apparently fruit for these only grows on new wood so they start afresh each year. 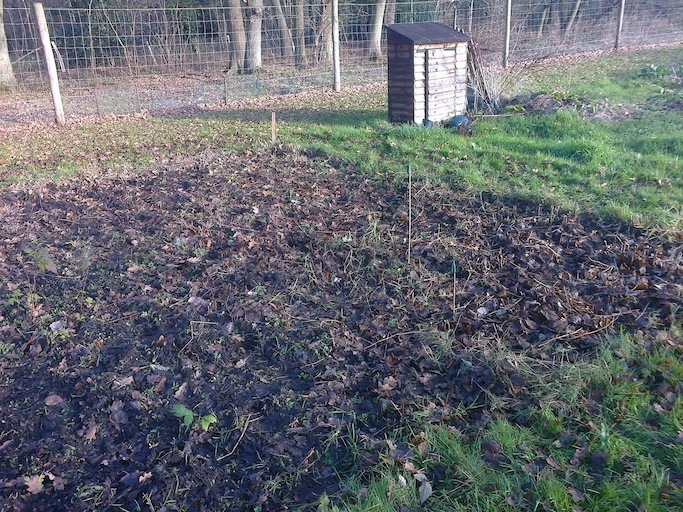 I think I did pretty well with the task too, though we’ll bring a rake down next weekend to try to sort the leaves and weeds out – but we’ll need to be careful as raspberry roots are quite shallow. Back home, we’ve poured ourselves a generous sherry each to celebrate our hard work. Onward and upward! Categories: Allotments | Tags: autumn raspberries, path, pruning, raised beds, sherry | Permalink. The harvests will be big in 2015! !